Wag Atlanta partied in the park with thousands of dogs and their parents. 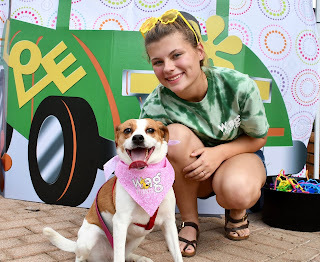 It was our first year at the Woofstock event held at the Smyrna Market Village. Parents enjoyed hearing about all the ways we can spoil their pup. At the event, each pup was spoiled with “Wag Swag”. Everywhere you looked, dogs were showing off their free Wag Flag. Parents loved choosing these handkerchiefs that matched their pup’s personality. Next they were off for a “peaceful pic” sporting adorable peace and flower glasses. Our team posted hundreds of fun pictures on our Facebook page for parents to enjoy. A prize of 4 nights in the Lucky Dog Lodge, a luxury suite styled to pamper your pup, was given away to a “lucky” winner. This valuable prize was won by Judy Garrard whose dog will enjoy their private room at the popular resort. Our Wag Atlanta team loved meeting so many pups and can’t wait to see them at the resort! Don’t blow your Spring Break budget boarding your pets on days you are home. 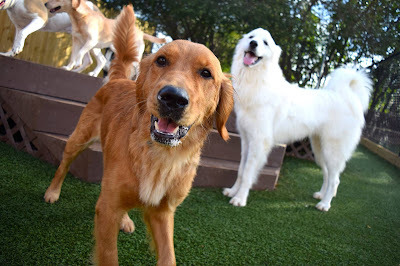 Wag Atlanta is open 24/7, which means there is no need to drop off your pupper the night before you travel or pick up the morning after you return just to make it in during restrictive business hours. We have team members on site at all times, making sure your dog or cat gets the proper care and you get convenient service. We know life doesn’t happen 9-5! You will save time and money avoiding unnecessary boarding and your pet will have less time away from you! Are you flying? NO ONE else offers discounted airport parking for their boarding customers. Our travel partner, Park’N Ticket offers our guests $5 parking during your pet’s stay. Located just 2 blocks away, they will pick you up at your car and drop you off at your terminal and then pick you up upon your return to drop you back at your car. Super easy and SO convenient! Make your reservation online or give us a call at 404-762-5050. It’s Official-People on Yelp Love Wag Atlanta. 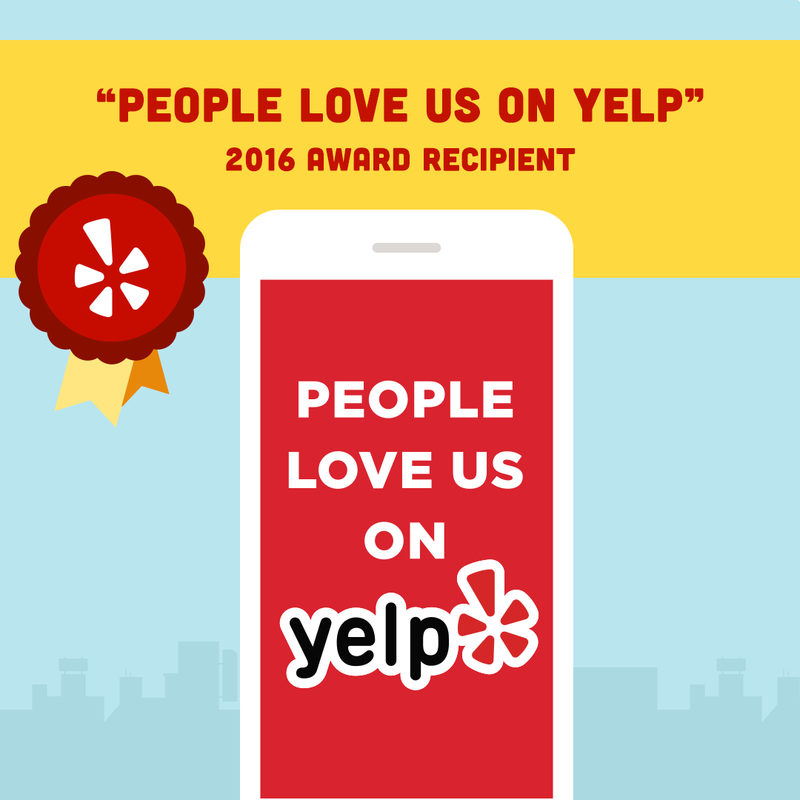 Wag Atlanta is recognized with the 2016 “People Love Us On Yelp” award. Excellent customer service for pets and their parents is our goal with each visit. Our feedback shows how important that is to our guests. 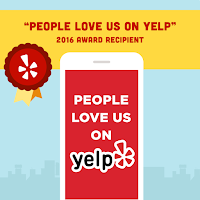 We are humbled to have earned a 5 star ratings on Yelp and other sites and we are so grateful for the wonderful feedback we have received for doing what we truly love. Thank you to all of our loyal guests and our dedicated team members! Yelp awards business two times a year with the “People Love Us on Yelp” accolade. This award is based on high quality reviews, photos, and easily accessible information to the consumer. 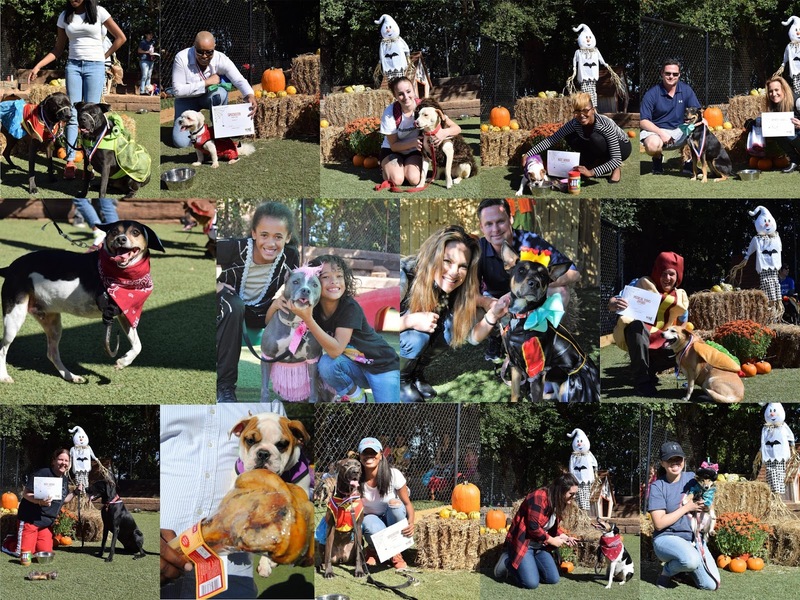 The Wag Atlanta Tricks and Treats Halloween Pet Fest was a huge success! We had a fantastic turn out and loved seeing familiar faces and NEW faces alike! The day was filled with Tricks - games and contests - and with Treats - lots of good food for pooches and parents. Our two legged guests were greeted with hotdogs on the grill, while our four legged guests had a buffet of hotdogs, carrots, and our very own graham cracker peanut butter pumpkin treats! YUM! We loved how excited all the pups were to get to trick or treat around the WAG Village, with each of our suites having treats for all fur babies to put in their goodie bag. Tootsie pulled the winning raffle ticket and took a home a bone three times her size but we have no doubt she will grow into it! Pearl chose the closest number without going over in our treat challenge and got to take home all the treats. There were 1,380 treats in the jar! The contests began with Musical Paws, a dog version of musical chairs. When the music stops, the last dog to sit is out! Harriett, with her proud parents, won a day of daycare with a bath for her perfect training. YAY Harriett! The Best Licker contest had a small and large dog division. Owners were given a spoon full of peanut butter to offer their dog, while holding the spoon with their mouth only. The first clean spoon wins! It was SO MUCH FUN to watch this one. In our large dog division, Ace took home the win and among the small dogs, Tootsie licked her competition. Both best lickers took home their very own jar of peanut butter, a large bone, and a day of daycare. We tested the speed with our Fastest Dog Contest with some amusing results. We all got a great laugh watching many contestants explore a bit before trotting off to greet their parents. We did come out with two clear winners. Oliver took home the small dog Speedster award and Bailey ran away with the large dog Speedster award. 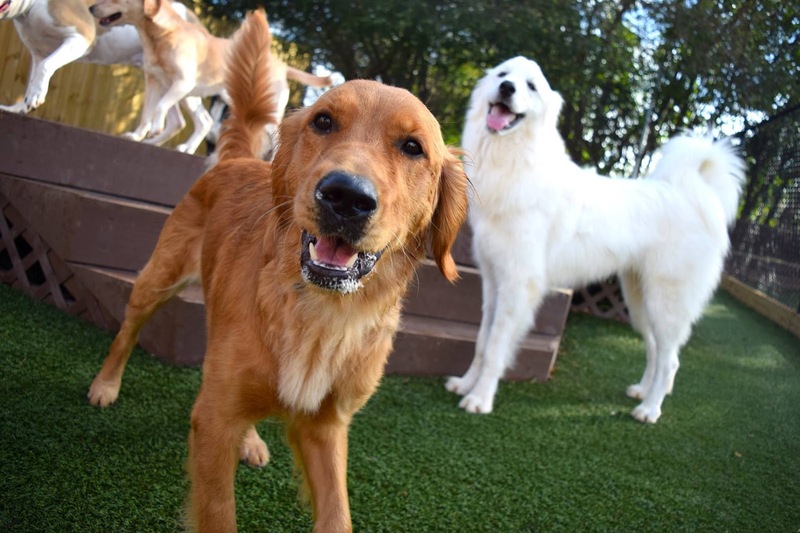 Both pups will enjoy a night in the Lucky Dog Lodge! Smarty Pants entrees had to find as many hot dog treats hidden under cups as they could in thirty seconds. Kennedy proved to be the best sniffer being the fastest to find all treats and will enjoy a night in the Lucky Dog Lodge Suite. We were all impressed by Best Trick winner, Kennedy! Her winning routine can be seen here! You could not help but a have a smile plastered on your face all day, being surround by dogs in costumes ranging from hotdogs, superheroes, devils, and princesses. Best Duo was won by Bridgette’s superhero pups, Ninja Turtle and Wonder Woman, whose secret identity is Zeus and Bailey. There was a tie for funniest between Pearl, dressed as a flapper and Nala, dressed as a Geisha. A wookie won the Scariest costume - Chewbacca aka Myles and mom Miranda were amused that he was thought to be scary. Most original was Presley the Pirate. Mom Christine cleverly placed a pirate hook to replace Myles’ missing limb, completing his unique costume. This Buccaneer stole our hearts and the booty! And the best overall was awarded to the queen of the day, in her Queen of my Heart Costume, Kennedy. She looked regal as ever and wore her crown well! Kennedy will enjoy three days in our Lucky Dog Lodge Suite. Congrats to all! Thank you so much to everyone who came, the day was a blast and we were so excited to see all of our fluffy friends dressed up and enjoying the day with their parents. We look forward to throwing an even better party next year, and can't wait to see what costumes everyone comes up with for it!